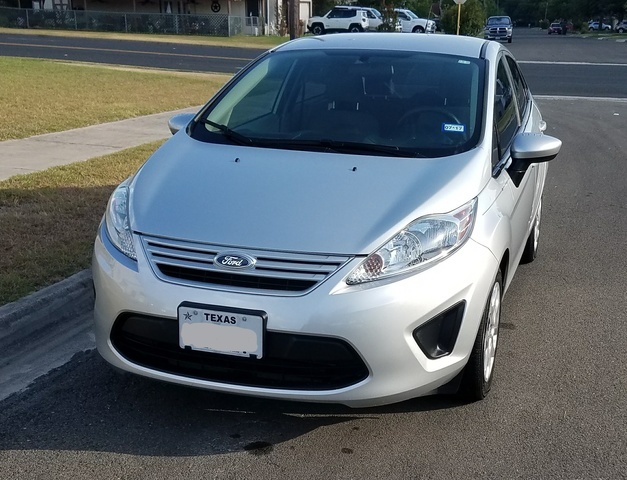 CarGurus has 23,597 nationwide Fiesta listings starting at $1,900. Ford packs plenty of punch, per usual, into its 2013 Fiesta, and the fun-and-feisty runabout continues to strike a blow not only for fans of the blue oval, but for those seeking small, American-made economy cars overall. The 2012 versions of the Fiesta ranked at or near the very top in most listings of affordable small cars, and the 2013 Ford Fiesta picks up right where last year’s models left off. It comes back ready and able to keep giving the likes of the Honda Fit, Kia Rio and Hyundai Accent a serious run for their money. A further sign that the Fiesta takes a push-the-envelope approach to things: It’s a favorite among the rally-racing crowd. The Fiesta hit the United States market in 2010 following a nice start a couple of years prior to that in Europe, and the trip across the pond has done little to dull its image as an interesting-to-drive small car offering much in the way of performance and fuel economy, as well as safety, at an affordable price. The Fiesta, which comes as a sedan or hatchback, gets a few design tweaks to begin with for 2013 and also features a buffed-up trim lineup. Part of the change comes in the name game, with a 2013 Ford Fiesta Titanium replacing the SES at the top of the list of trims, joining the S and SE. The Titanium adds to the luxury quotient of the Fiesta with heated leather seats, 16-inch wheels, push-button start, Sirius satellite radio and Ford’s SYNC system all standard. The 2013 Ford Fiesta Titanium carries on the array of bright colors with a choice of 9 hues, including Blue Candy, Ruby Red, Lime Squeeze, Violent Gray and Yellow Blaze. A minor makeover for 2013, besides the Titanium trim, began up front with an Aston-Martin-style grille the Fiesta basically borrows from its big brother, the Ford Fusion. Ford again lists a 1.6-liter 4-cylinder engine good for 120 horsepower and 112 lb-ft of torque as the engine of choice for the 2013 Ford Fiesta. Word is that the car could also be in line to receive a new 1.0-liter EcoBoost engine at 125 hp that will up its already impressive fuel mileage ratings. With the 1.6-liter, the Fiesta rates at 29 mpg city/38 highway. A Super Fuel Economy (SFE) option pushes the numbers even higher, albeit with a cost to upgrade. A 5-speed manual transmission comes standard in the 2013 Ford Fiesta, and a 6-speed PowerShift automatic is available. Ford takes on the challenging task of combining style with substance in the 2013 Fiesta and does a quite effective job of balancing the two. It scores well with reviewers for everything from being fun to drive with its impressive steering and handling to having a comfortable interior that more than holds its own in the class. The experts do toss out their caveats, of course, and cite that the back seat is tight and not all that comfortable, particularly for a journey of any distance. Some also find that the automated dual-clutch transmission needs attention, particularly when shifting at lower speeds. Still, by all accounts the 2013 Ford Fiesta shines as a vehicle for the kid off at college, for a commuter car or for assorted other uses. The Ford Fiesta has scored well in government and insurance industry crash tests, and for 2013 it features AdvanceTrac electronic stability control, 7 airbags including front-seat side airbags and a driver’s knee airbag, 4-wheel antilock brakes and a tire pressure monitoring system. What's your take on the 2013 Ford Fiesta? Fun_363 I have a February 2013 manual hatch and I'm not sure if the US and Australian specs differ but your overview is pretty spot on. I've only done 8000 klms but I've had no problems yet. 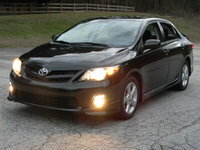 the steering is excellent for electric pwr assist and the brakes work well with rear drums. The handling is good as is the ride for Australian roads. The cost is reasonable and the Thai build quality is very good. The level of equipment is good for a base model cl(s). These have had good reports for their off the mark acceleration. I have improved mine immensely with the addition of a full flow 2 inch magnaflow stainless exhaust. My fuel consumption figures are a little better than yours. I average 38 to 42 mpg city cycle on e95 but the exhaust may have some bearing on that. I read a lot of complaints about the autos but I can't comment on that. the insurance is very reasonable at $299.74 AUST. I'll have to see what happens in the long term. Fun_363 Just had the first service at 9100klms and still absolutely no problems. Switched from Havoline to Valvoline 5w30FE fully synthetic. The overhead gear in these things sound a bit too mechanical for me but the Valvoline has quietened it down. fuel consumption with the exhaust still averages 14 kpl on E10 95. Users ranked 2013 Ford Fiesta against other cars which they drove/owned. Each ranking was based on 9 categories. Here is the summary of top rankings. 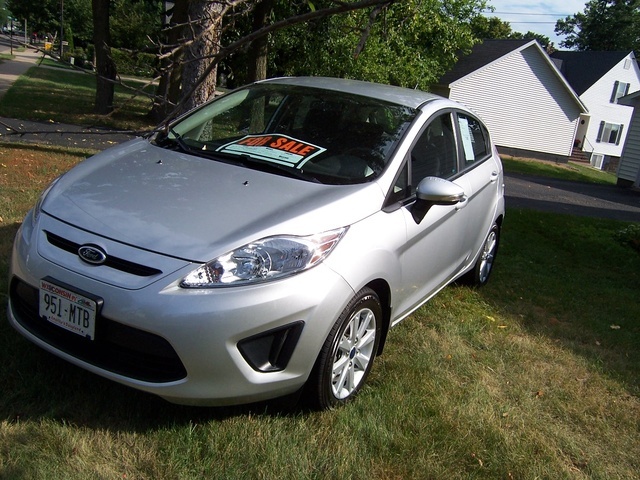 Have you driven a 2013 Ford Fiesta?